1. 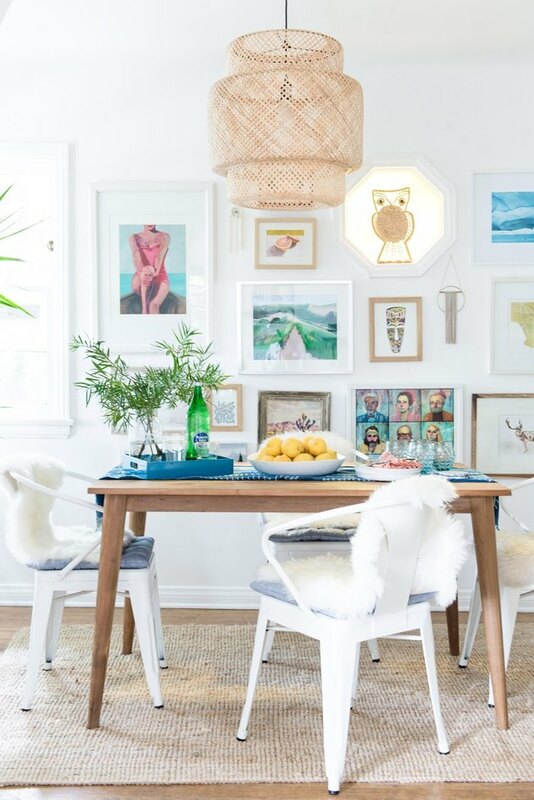 Highlighting a colorful gallery wall in this cute California dining room. 2. 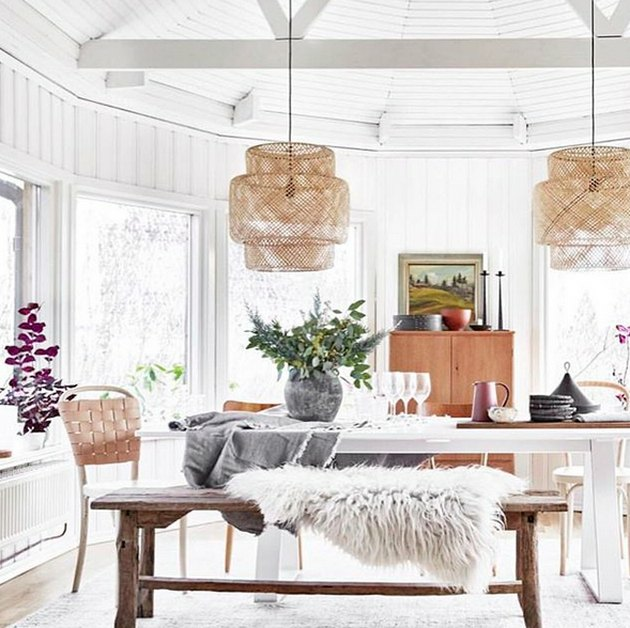 Blending in beautifully among a mix of various woods and natural materials in Sweden. 3. 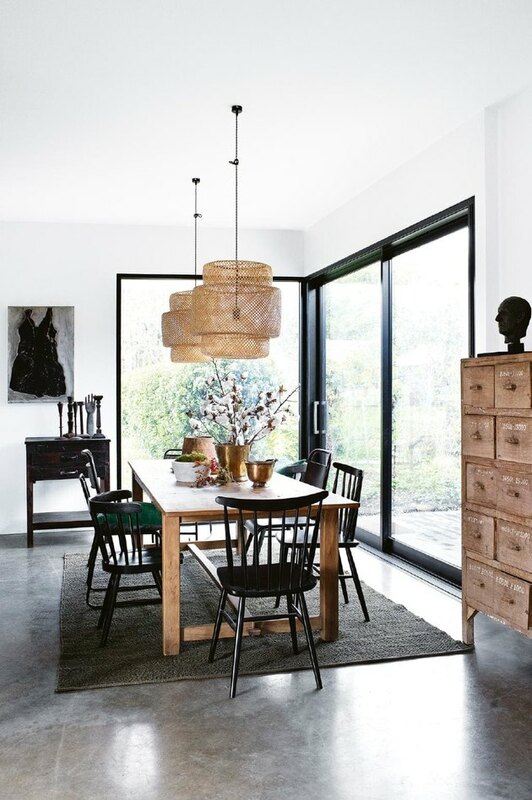 Pairing perfectly above a recycled elm table in a heritage cottage in Spring Hill, Queensland, Australia. 4. 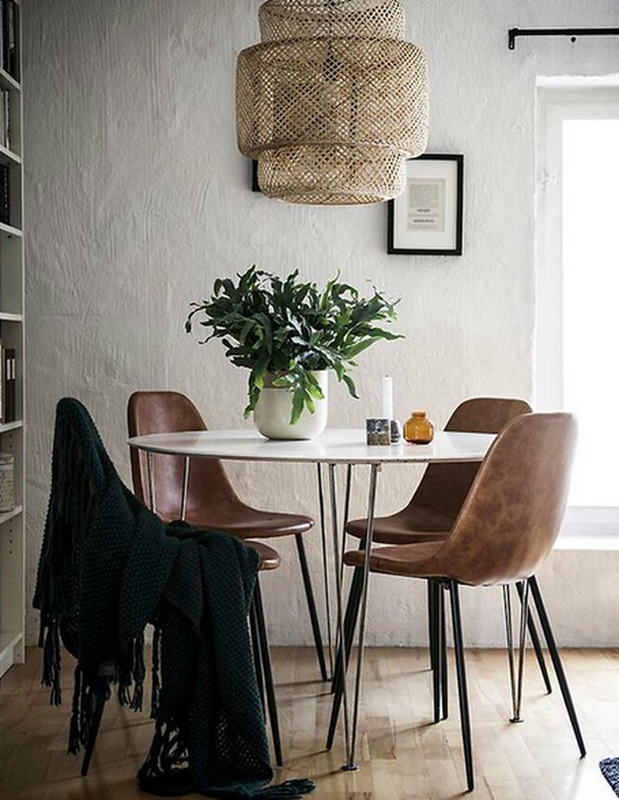 Casting a glow in this European apartment all year round. 5. Appearing in Barcelona as this kitchen's bae. 6. 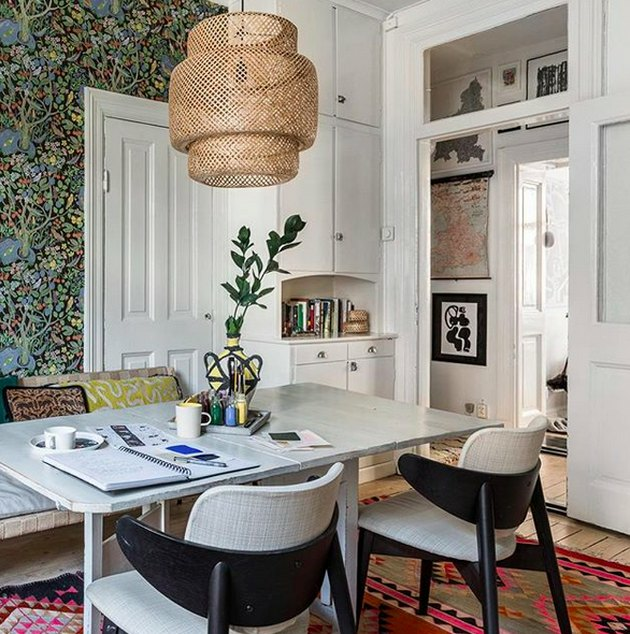 Holding its own surrounded by a colorful wall and rug in Sweden. 7. 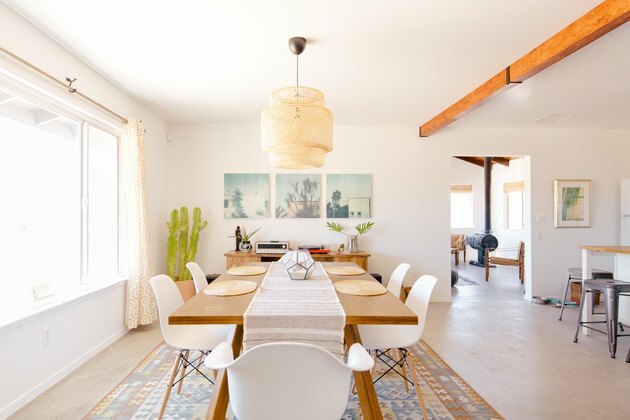 Giving off desert vibes in the Joshua Tree. 8. 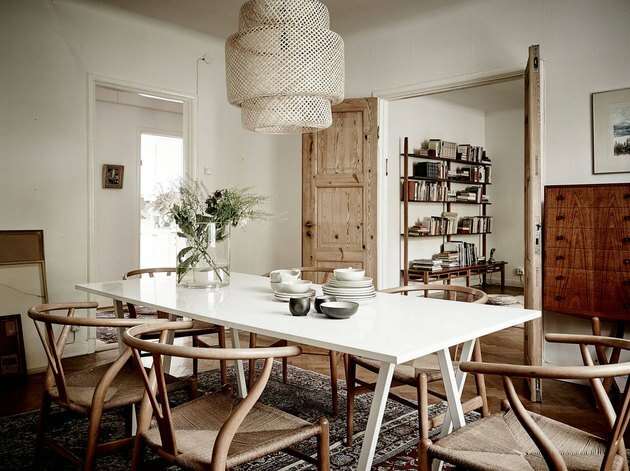 Hanging from a high ceiling in a Swedish boho dining room. 9. 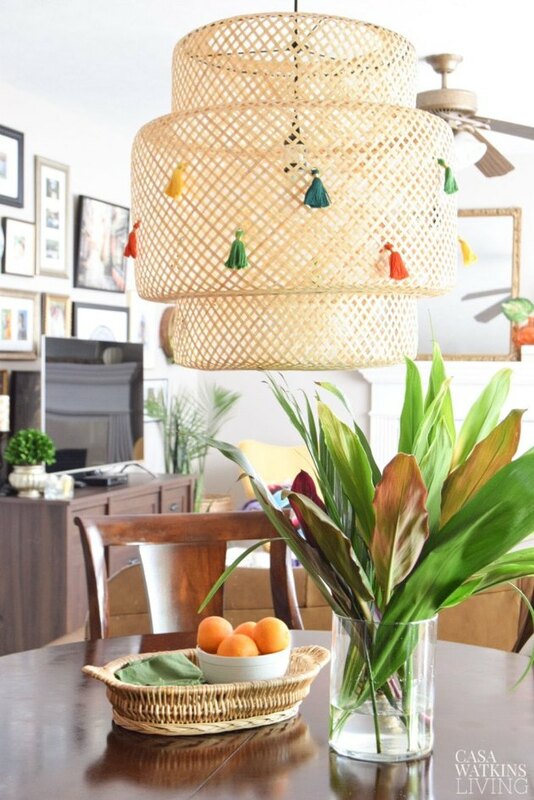 Doing the DIY thing with Stephanie Watkins from Casa Watkins Living in Maryland. 10. 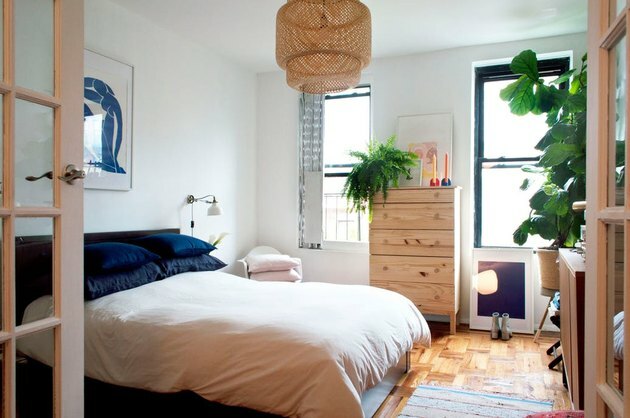 Earning an A+ in an Alphabet City (New York) apartment. 11. 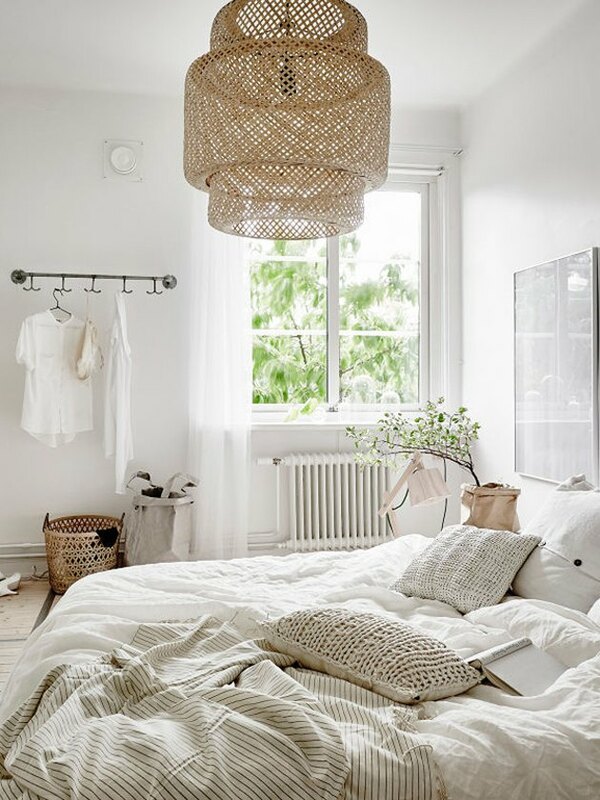 Giving Bri Emery from Design Love Fest a focal point in her Los Angeles bedroom. 12. 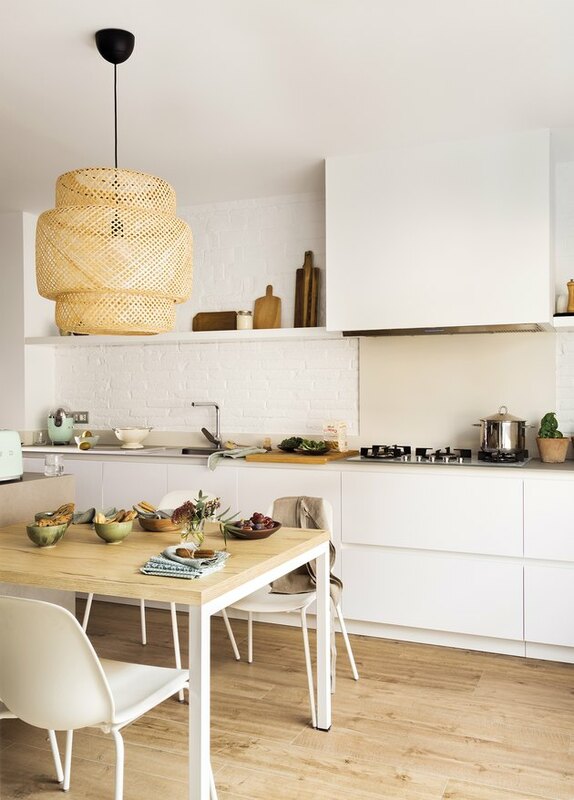 Supplying light (in white), in A Cup of Jo Joanna Goddard's sister's home makeover. 13. 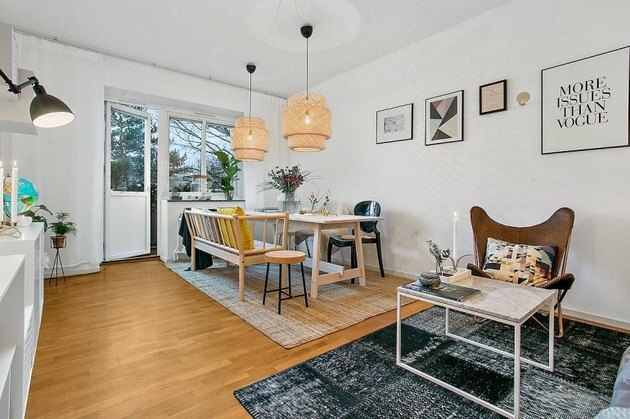 Looking like your Pinterest dreams in this Gothenburg apartment. 14. 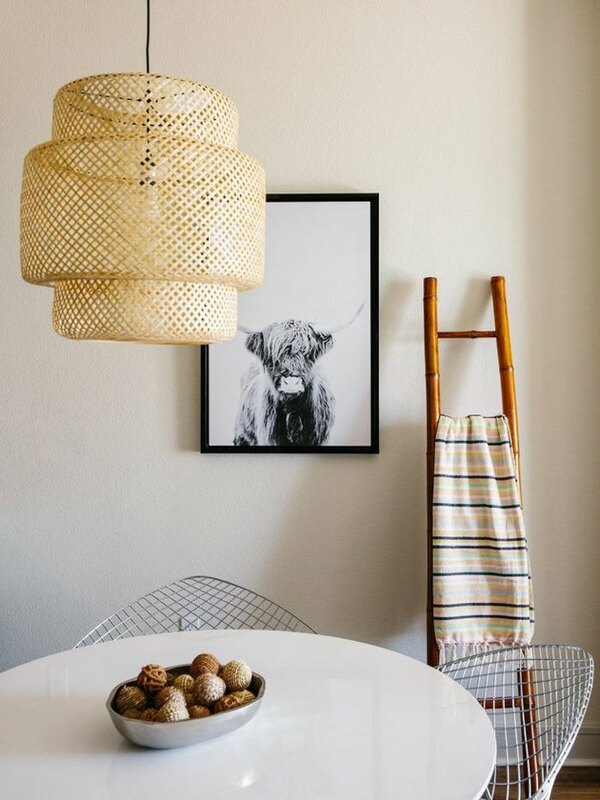 Mixing modern style with Texas soul in this pied-a-terre in downtown Austin. 15. 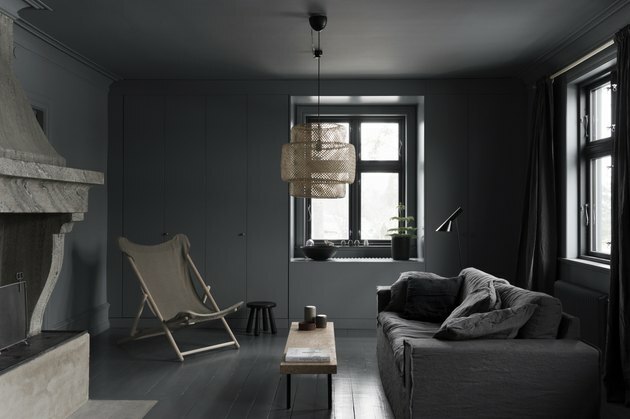 Feeling moody in a darkly romantic living room in a small coastal city of Härnösand, Sweden. 16. 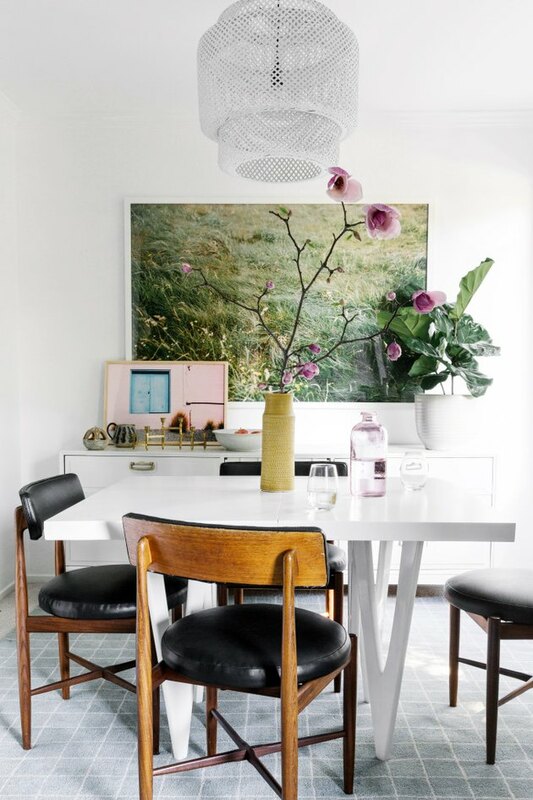 Making a big statement over a small table in a minimal Scandinavian home.